Forgiveness is one of the pillars of the Christian faith, and most people can comprehend the principle of extending grace to someone when words are exchanged in the heat of passion. But what about when an offense leads to mass casualties, inexplicable grief and sorrow felt across the globe? That kind of pain is nearly impossible to comprehend. But it’s what many families connected to the Humboldt Broncos bus crash in Saskatchewan, Canada, experienced one year ago on April 6, 2018. A pain that may take years to come to terms with, let alone heal from. 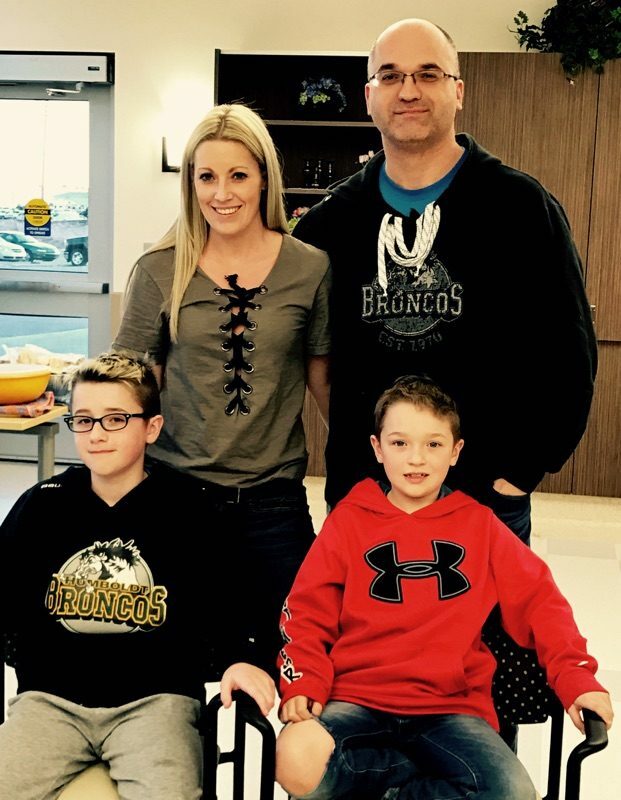 It has definitely been a difficult journey for Christina Haugan, wife of the late Broncos head coach, Darcy Haugan. She lost her husband in the horrific bus crash that took the lives of 16 members of the junior hockey team. 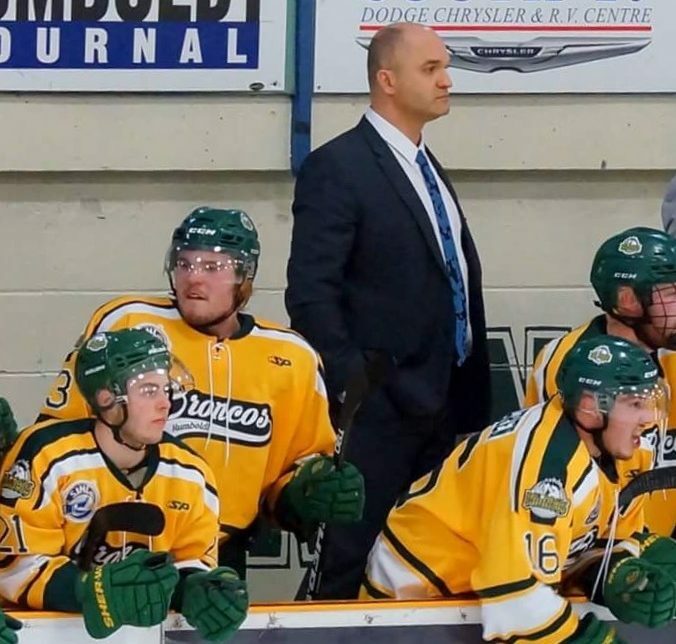 Darcy was in his third year as the head coach and general manager of the Saskatchewan Junior Hockey League team. He was respected by many for being a man of great character and strong Christian faith. Darcy used to pray in the locker room with his players before each hockey game. It was a tradition he carried for more than a decade previously with another program in Alberta, the North Peace Navigators. “Even though he prayed with them, that’s one thing I respected about Darcy — he never pushed his faith on his players,” said North Peace GM Mike Fosty, who coached with Haugan for 12 years. The bus carrying 29 members of the Humboldt Broncos, on its way to a SJHL road game, was hit in the intersection of Highway 35 and 335 in northeastern Saskatchewan by a semitrailer. Sixteen people were killed, and the 13 others were left with serious injuries. Christina, 41, got the phone call when she and her two sons — Carson, 13, and Jackson, 10 — were on their way to Darcy’s parents’ place. She then shared the news with his folks. Before long, the disaster was drawing attention across the globe. A GoFundMe account was set up in the honor of the team, and grew in excess of $15 million. The #HumboldtStrong hashtag was seen all over the world, as were Broncos jerseys and social media posts outpouring with support. But that could never replace the grief, or answer questions from the many parents and families who lost loved ones. Brandow, the chaplain, met with families, answered questions from the media and was asked to make sense of the nearly incomprehensible. Parents and families met their grief face to face a few months later, when the sentencing hearing began for semi driver Jaskirat Singh Sidhu. The court found Sidhu had caused the accident by running a stop sign and colliding with the bus. Following days of excruciating testimony, he was sentenced to eight years in prison. While a number of families desired a longer sentence, most were relieved it was over. Christina Haugan recalled the trial vividly, and held an eternal perspective. Christina and Darcy were married for nearly 17 years, and she did not want to look back on his life or the situation with anger. “The moment I forgave him, I felt a huge weight lifted off of my shoulders. Jesus forgave me, and how many times did Darcy forgive me for a lot of things I’d done over the years? In the same way, I wanted to offer forgiveness to that man,” she said. 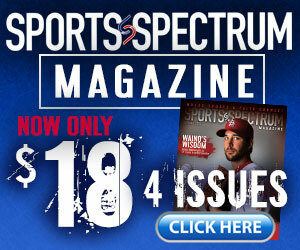 Brandow continued to provide support to players and families in the community. He spoke during the team vigil days after the crash, at many of the funerals for members of the team, and has travelled around the country with Hockey Ministries International (HMI) to share the message of hope amidst tragedy. “There’s a passage in Romans that talks about having a hope that does not disappoint, and that’s the hope that Christina and I share, Leroy and Shirley (Darcy’s parents) share. That one day we’ll see Darcy in Heaven, and that’s a powerful hope,” Brandow said. Christina, Carson and Jackson still live in Humboldt for the time being, and are learning to navigate their faith journey without their husband and father. Carson was baptized in September, a legacy Darcy built and will remain with the family. “Anything I do or say in the media, I want people to hear about his love for Jesus more than his hockey background, more than anything,” Christina said as she choked back tears. Two surviving members, Brayden Camrud and Derek Patter, were a part of the new-look Humboldt Broncos and returned to the ice in 2018-19 with an abundance of support. Tyler Smith, a third survivor, also came back for a short period of time in November, but returned home to focus on his recovery. The team made the SJHL playoffs, but were eliminated in the second round. Nonetheless, the season will always be looked back upon as a small community of 6,000 people being rallied by an entire nation, a world that was and is #HumboldtStrong.